Kapha is one of the three doshas – the basic biological energies in all of us. Each dosha has unique qualities and characteristics and they govern all our physical and mental processes. Kapha comprises of the water (jal/apas) and earth (prithvi) elements of the Pancha Mahabhutas (the five elements that make up our universe). The main function of kapha is the formation of muscle, fat, and bone. Kapha is inherently cold and dense, so qualities that are opposite to these can help to restore a kapha imbalance. Individuals with a kapha imbalance can benefit greatly from a kapha pacifying lifestyle. Kapha individuals are slow and methodical, but they also tend to be unduly attached to their fantasies. Changing your daily routine will help to keep you grounded in reality and will allow you to direct your energy towards your life goals. Don’t try to overhaul your entire life at one go – that can be overwhelming and it is likely that you will abandon your new schedule within days or weeks; instead, make just one or two small changes every week as this will allow you to get accustomed to your new routine. Since kapha individuals tend to be slow moving, it is important that they start their mornings with activities that will increase their energy levels. Rise promptly on awakening: Kapha people tend to be sluggish in the mornings due to the cool and dense qualities of this dosha type. Don’t become dependent on the snooze function of your daily alarm but instead, get out of bed as soon as you wake up. Wake up within an hour of sunrise as this will help to sync your circadian rhythms (internal body clock) with nature. Wash your face, mouth, and eyes: Rinse your face with water and then gently wash your eyes. Massage your eyelids using circular motions, then blink seven times and rotate your eyes clockwise and anti-clockwise. Fill your mouth with water and swish it around a few times before spitting it out. Lastly, splash your face with cold water a couple of times. This routine will help to shake off your drowsiness and become alert. Evacuate Daily: Regular evacuation is important so that it develops into a daily habit. In the beginning, you may not feel the urge, but simply sitting on the toilet can help you have a bowel movement (and prevent constipation). Perform Ayurvedic dry-brushing: Ayurvedic dry massage (garshana) is a technique that promotes lymphatic cleansing and removes ama (toxins) from the body. Use a body brush with natural bristles to dry-scrub your entire body. This invigorating Ayurvedic technique will also help to counteract lethargy and sluggishness. Go for a run: Kapha is most inﬂuenced by tamas, which is the principle of inertia. Go for a morning run or participate in an active sport on a daily basis to stimulate your body and mind. Opt for a warm shower: A warm shower is ideal for kaphas as it helps to increase blood circulation and improves mental focus. However, warm water can strip your skin of its natural oils, so make sure that you use a mild natural body lotion after you step out of the shower. Kaphas are calm and implacable by nature, which makes them excellent team players. Kapha individuals are capable of handling work tasks, presentations, and meetings and remain unruffled even despite their hectic work day. Have a regular lunch timing: The best time for lunch for a kapha individual is between one and two in the afternoon. It is important to have a regular lunch timing as this prevents overeating, which is a common problem for people with this dosha type. Kaphas are generally advised to have a light breakfast but a hearty lunch. Drink a glass of hot water before lunch: Agni balance is important for kaphas, so drink a glass of hot water at least thirty minutes before your lunch. This will kindle your natural digestive fire and prevent digestive problems such as indigestion and constipation. 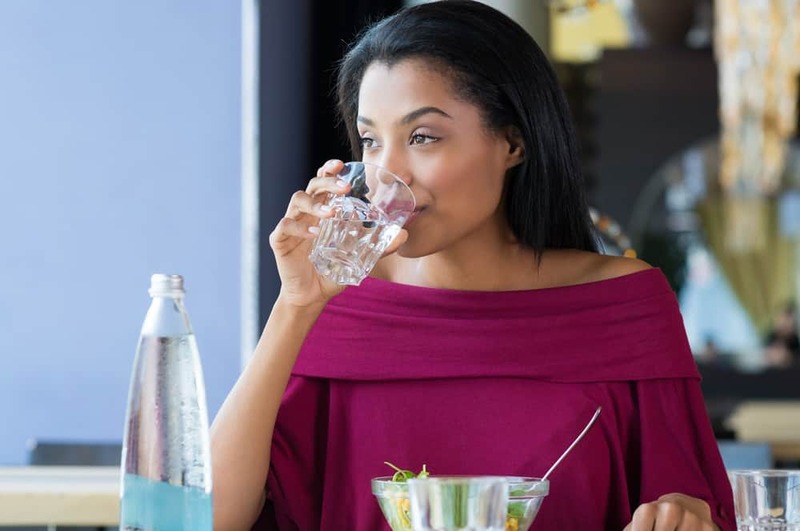 Do not drink water with your lunch: Do not drink water or a cold soda with your lunch – this will dilute your stomach acids and impede the digestive process. Instead of water, you can have a glass of buttermilk with your lunch as this will mitigate kapha and improve overall digestion. 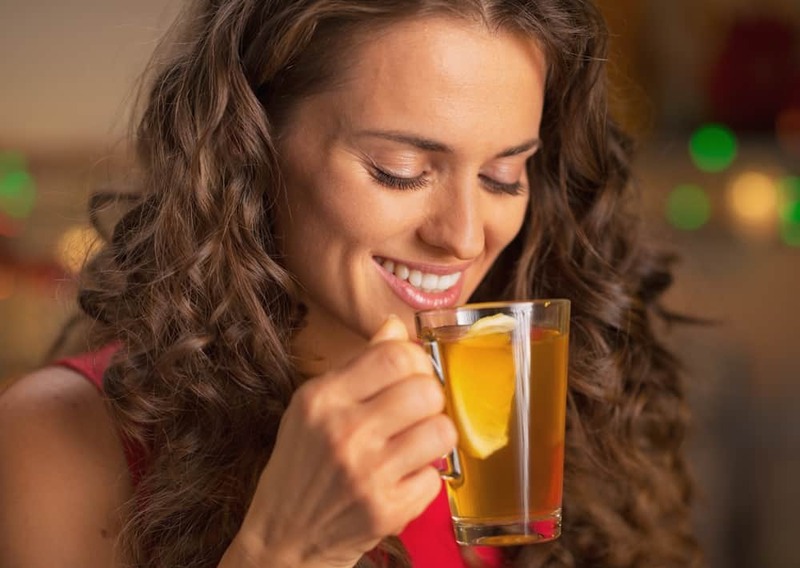 Drink herbal tea after your meal: A cup of freshly brewed herbal tea in the afternoon will help to pacify kapha – ginger, clove, and fenugreek are some of the best ingredients for balancing pitta. Evening is the kapha time of the day – it begins at approximately six o’clock and ends at ten o’clock in the night as the day comes to an end. Having a regular evening routine will allow you to transition out of your work mode. Avoid procrastination: If you are a kapha individual, maintaining a constant pace will be a challenge as you are likely to procrastinate in the first half of the day and then rush to catch up during the second half. You should also make sure that you do not overextend yourself on a daily basis as this will ruin your daily schedule and will leave you with inadequate time to de-stress at the end of your day. Curb your screen time: Kapha individuals are more likely to be listless and lethargic when they get home from work. You might decide to watch TV for “just a little while” before heading out to the gym but then you find that you are still lazing on your couch an hour later! To avoid this, have a quick shower when you get home and then go directly to your gym. You can watch TV or surf once you get back, but track the amount of time you spend watching TV and surfing as these activities could cause excess kapha and lead to a dosha imbalance. Indulge in a moderate or high intensity workout: A high intensity workout is just what you need to balance out the inertia of your dosha type. If you haven’t worked out in a while, start with a light workout and steadily work your way up to a high intensity workout. A twenty to thirty minute workout will balance your doshas, improve your energy levels, and improve your sleep quality. Have a cool down session: Don’t skip the cool down session after your workout. This will help you cool down and enter a more restful state. Ideally, you should eat your dinner by seven and sleep by ten o’clock, but that isn’t feasible for most of us. However, you can make it a point to have regular dinner and sleep timings. Don’t rush through your night routine; instead, allow your day to wind down. Don’t watch TV during dinner: Watching TV while eating results in overeating and weight gain, which is a common problem for kapha individuals. Eat your dinner mindfully as this will also help to prevent indigestion, acid reflux, and other digestive problems that can cause disturbed sleep. Drink ginger tea after your dinner: Drink a cup of ginger tea (without milk) after your dinner. Ginger is high in pitta and also aids digestion, which helps to mitigate the effects of kapha. Perform evening pranayama: Perform evening pranayama to help calm your mind and enter a restful state that is conducive to sleep. Kapha imbalances often lead to depression and melancholy and daily pranayama will help to keep negative thoughts at bay. Avoid electronic devices before bed: Get off your phone and laptop at least 30 minutes before you go to sleep as the blue light from these devices can disturb your natural sleep patterns. Kapha qualities are cold, dense, and viscous, which is why one of the most common symptoms of a kapha imbalance is excess mucus. An individual with high kapha is also more likely to have a sluggish digestive system, which leads to an uncomfortable feeling of heaviness in the stomach and sticky bowel movements. If your kapha is imbalanced, you would find it difficult to wake up in the morning and you would also feel listless, lethargic, and dull. People with kapha imbalances are also more likely to have large pores and skin eruptions due to the tendency of kaphas to accumulate more ama (toxins). The fast pace of modern life makes it difficult or even impossible to follow the ideal Ayurvedic daily routine (dinacharya). However, making even small changes to your routine will bring you closer to life’s natural rhythms and allow your internal body clock to adjust to the rhythms of nature. The important thing to remember when creating your daily routine to balance kapha is that you should start slow and only tweak your schedule once you are certain that you can manage to stick with it. Diet and nutrition has the biggest influence on your dosha levels. Find out how different foods affect the doshas and follow a kapha balancing diet to preserve your optimal dosha balance.